In-principle, every planning system in this country seeks to achieve the best quality planning and design outcomes for future apartment development. Whether it be NSW’s SEPP-65 or Victoria’s recent Clause 58 implementation, applicants for apartment development approvals are being endowed with increasingly complex and rigid benchmarks for future development. Rather than pursue the ‘stock standard’ approach, why not consider some of these alternatives instead? It is a common requirement for most (if not all) developments to demonstrate a level of response to either ‘existing’ or ‘preferred future’ neighbourhood character. But what could possibly be more responsive than simply reflecting the existing character straight back to the street? 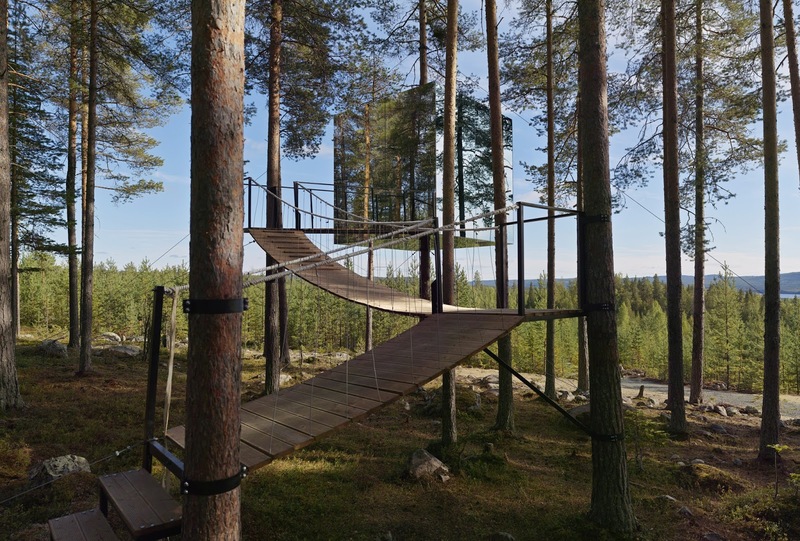 Take the infamous ‘Treehouse Hotel Mirrorcube’ in Hards, Sweden, for example. Designed by Tham and Videgard Arkitekter, the elevated treehouse suite is clad entirely in mirrors, which gives the illusion of an ‘invisible building’ nestled in amongst the pines. Or – closer to home – the Cairns Botanic Gardens (Charles Wright Architects), a design which the architects claims ‘literally reflects the gardens as camouflage for the building with visual effect similar to the suit worn by the alien hunter in the original 1987 Predator film’. Impressive! (Authors note – I love that film, and I love this building). The stigma surrounding south-facing apartments and private open spaces (or north-facing, for our northern hemisphere friends) has long polarised planners, homebuyers and developers alike. So skip all that by simply developing a building that rotates 360O every 90 minutes! No more arguments about south-facing apartments, poor outlook or compromised energy efficiency ever again. This is exactly what the developers of Dubai’s proposed ‘Dynamic Tower’ have in mind. 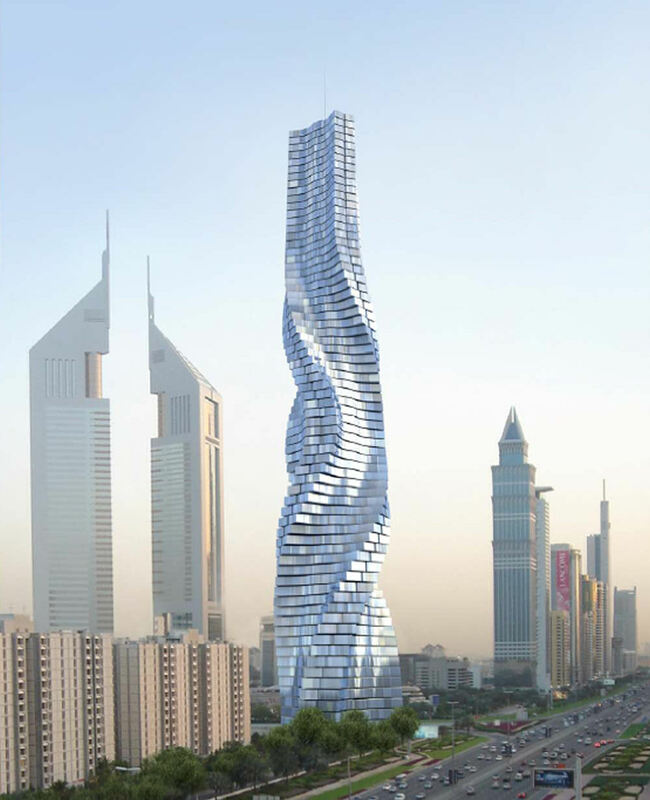 Designed by architect David Fisher at an impressive 420m high (and at an approximate cost of $330 million USD), the Dynamic Tower literally incorporates individually rotating floors that rotate at a steady 6m per minute. Only catch is, Dynamic Tower is yet to get off the drawing board, so instead you may wish to use Brazil’s rotating 15 storey ‘Suite Vollard’ (15 storeys and completed in 2001) as a more ‘practical’ precedent. ESD and energy efficiency is certainly one of the most pressing issues to face our industry. 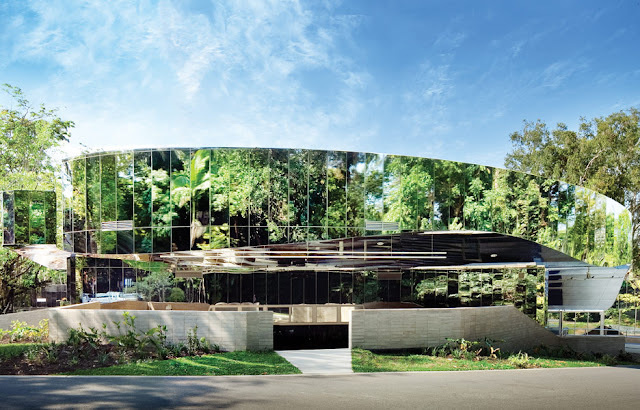 Authorities across Australia have long mandated the demonstration of environmentally sustainable design initiatives within the built environment to varying degrees (and success). Within this context, what could possibly be more environmentally friendly than a completely biodegradable building? This is the sentiment of ‘The Living’ studio’s ‘Hy-Fi’ tower – the winner of the Museum of Modern Art and MoMA PSE1’s 15th Annual Young Architect Program in New York. 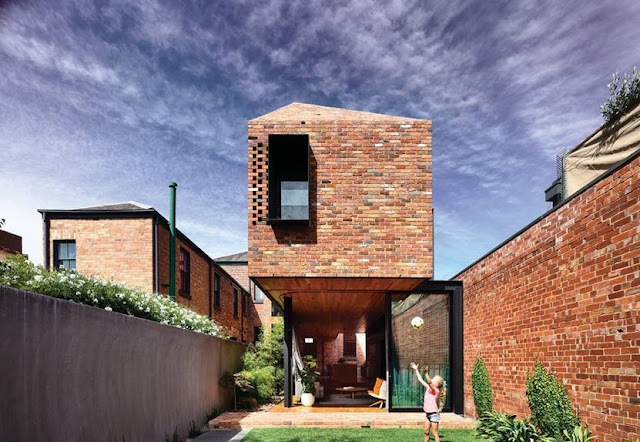 Constructed entirely of ‘ecovative manufactured organic bricks’ (ie. 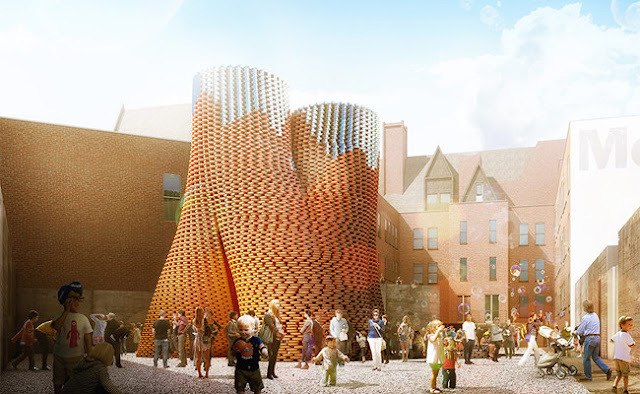 bricks made of corn stalks and living root structures), the ephemeral 15 storey tower will stand proud as a ‘cool summer retreat’ New Yorkers until such time as it completely disintegrates back into the very planet from which it came. Perfect for the developer who wants zero return on their investment. Have you come across any ‘left field’ responses to generic planning requirements? Share them in the comments below!